The 30 Year U.S. Treasury bond yield hit 2.35% yesterday. 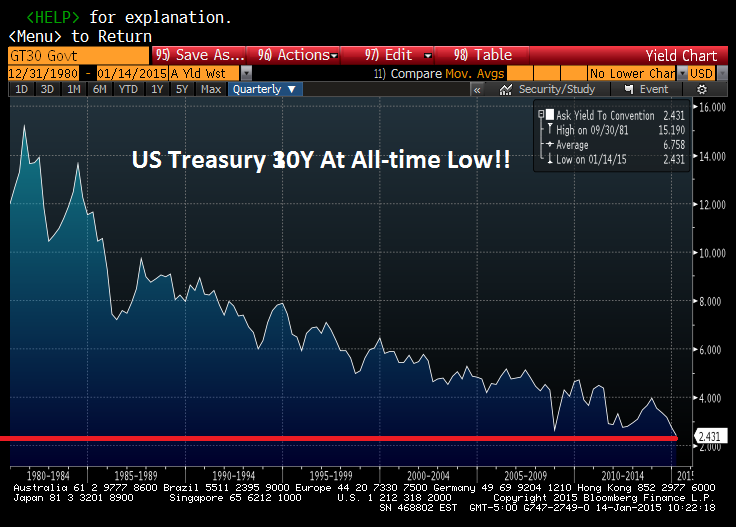 That is the lowest rate in U.S. history for the 30 Year Treasury. During the deepest darkest depths of the recession in March 2009, after the stock market had fallen over 50%, the yield was 3.5%. One year ago it was yielding 4.0%. Long term interest rates are not controlled by Yellen. They reflect the economic prospects of the country. When they are rising it means the economy is doing well. When they are plummeting to all time lows, the economy is either in recession or headed into recession. Take your pick. No amount of government data manipulation, feel good propaganda spewed by the captured mainstream media, or Ivy League educated Wall Street economist doublespeak, can change the fact this economy is in the dumper and headed much lower. The Greater Depression is resuming its downward march toward inevitable war. KB Home had revenues of $2.4 billion in 2014. They are one of the largest home builders in the country. It’s stock has dropped 30% in the last few days. It’s down 40% from its February 2014 high. It’s down 85% from its 2005 high. It had $9 billion of revenues and delivered 60,000 homes in 2005. Then Pin 1.0 popped the first bubble. Revenues collapsed to $1.3 billion and they lost hundreds of millions from 2007 through 2012. Lennar had revenues of $7.0 billion in 2014. They are the largest home builder in the country. It’s stock has dropped 9% this week. It had been trading at a seven year high, but is still trading 33% below its 2005 bubble high. It had $14 billion of revenues and delivered 42,000 homes in 2005. Then Pin 1.0 popped their bubble. Revenues imploded to $3 billion and they also lost hundreds of millions from 2007 through 2012. Their admissions earlier this week are proof Bubble 2.0 has met Pin 2.0. KB Home’s 85% increase in revenue and Lennar’s 130% increase in revenue since 2011 have been nothing but a Federal Reserve/Wall Street/U.S. Treasury engineered scheme to repair the balance sheets of the insolvent Too Big To Trust Wall Street banks. The financial industry oligarchs and their servile lackey puppet politicians decided an easy money, Wall Street created scheme to boost home prices would benefit the .1% and restore some of their fraudulently acquired wealth. 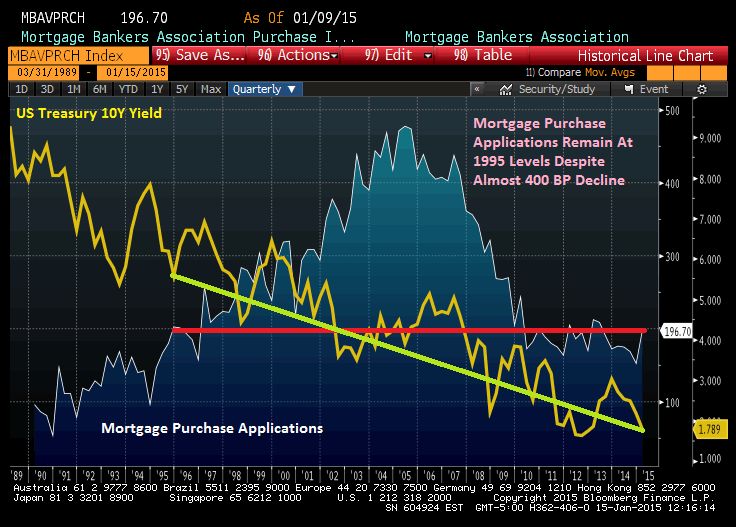 It isn’t a coincidence home prices rose in parallel with the Fed’s QE programs. And it isn’t a coincidence the bubble is rapidly deflating now that QE3 is over. 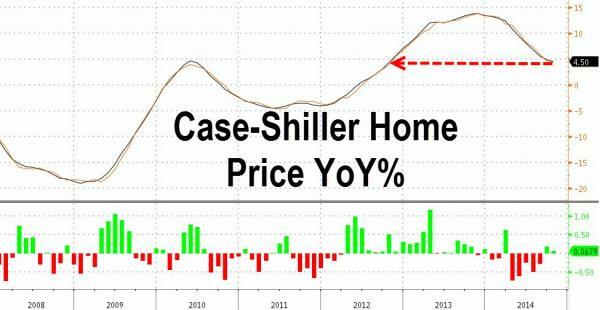 The fraudulent nature of the supposed housing recovery can be deciphered by analyzing a few pertinent data points. 30 year mortgage rates were in the 5% to 6% range during the first bubble. Mortgage rates have been consistently below 4% for the last three years. In a healthy market driven economy, these low rates should have brought in first time home buyers and led to a sustainable long-term recovery. Instead, the number of homes bought by first time buyers has languished at record low levels. The majority of homes sold in 2011 and 2012 were distressed foreclosures and short sales, and the vast majority of sales in the last two years have been to Federal Reserve financed Wall Street investors, Chinese billionaires and fast buck flippers. New home sales of just above 400,000 five years into an economic recovery are at previous recession lows, despite record low mortgage rates. They languish 65% below 2005 levels, when KB Home and Lennar were minting money. Existing home sales of 5 million are back at 1999 levels and 30% below the 2005 highs. This pitiful result is after $3.5 trillion of QE, extremely low mortgage rates, and tremendous hype from the NAR and the corporate MSM (It’s always the best time to buy). 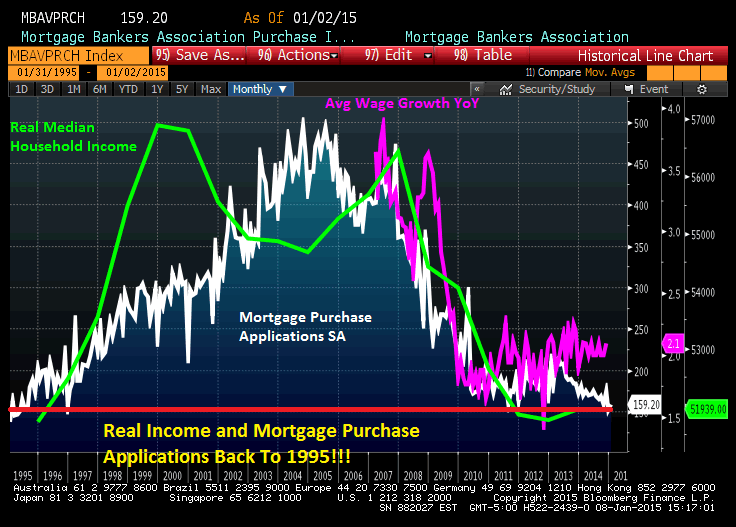 The falsity of the housing recovery storyline can be seen in the fact that mortgage applications linger at 1995 levels, even though mortgage rates are 400 basis points lower than they were in 1995. A critical thinking individual might ask how home prices could rise by 20% since 2012 even though mortgage purchase applications are 20% lower than they were in 2012 and 65% below 2005 levels. The answer is they couldn’t have risen by 20% without massive monetary manipulation and insider deals between Wall Street banks, Wall Street hedge funds, FNMA, Freddie Mac, The Fed, and the U.S. Treasury. You see, average Americans buy houses not as an investment, but as a place to live. They save enough for a down payment by spending less than they earn, and then make monthly payments for 30 years from their rising household income. Of course, that was the old days. Real median household income is exactly where it was in 1995. It is currently below the level of 1989. Average Americans have made no headway in 20 years. The median price of a home in 1995, according to the Census Bureau, was $128,000. The median price of a home today is $281,000. When prices go up 120% and your real income remains stagnant, even record low mortgage rates is just pushing on a string. With real wages continuing to fall, young people saddled with a trillion dollars of student loan debt, the full impact of the Obamacare neutron bomb (kills small business, doctors and jobs, but not insurance conglomerates or government bureaucracy) just detonating, and an economy clearly going into the tank, there is absolutely no possibility of a real housing recovery in the foreseeable future. The Too Big To Trust banks have consistently accounted for 35% to 55% of all mortgage originations in the U.S. over the last four years. Wells Fargo is the undisputed leader. All of these banks have reported dreadful financial results this week, with plunging revenues and profits, even with accounting shenanigans like relieving loan loss reserves and marking their balance sheets to fantasy rather than true market values. In the midst of a supposed housing recovery, with mortgage rates at historic lows, the largest mortgage originator in the world, saw their mortgage originations FALL by 12% over last year. They are down 65% from two years ago. 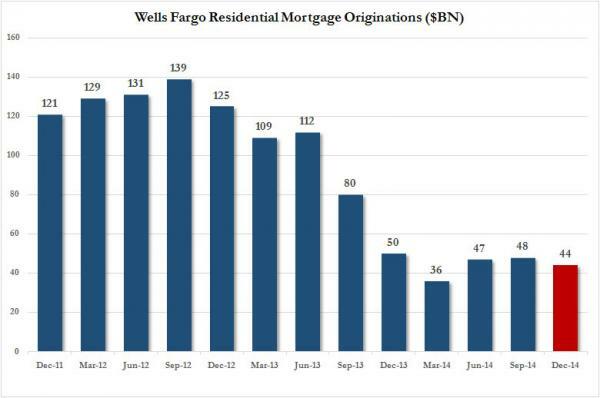 JP Morgan and Citigroup also saw their mortgage businesses contracting. These banks have been firing thousands of people in their mortgage divisions. This is surely a sign of a healthy growing housing market. Right? Essentially, the entire housing recovery storyline has revolved around the Federal Reserve providing free money to Wall Street banks, who then withheld foreclosures from the market, sold them in bulk at inflated prices to Wall Street hedge funds like Blackstone, who then created a nationwide rental business, driving prices higher. FNMA and Freddie Mac did their part by selling their bulk foreclosures to the same connected hedge funds. The average person had no opportunity to bid on foreclosed homes and reap the benefits of lower prices. Blackstone has since created a new derivative, by packaging their rental income streams into an “investment” to sell to muppets. 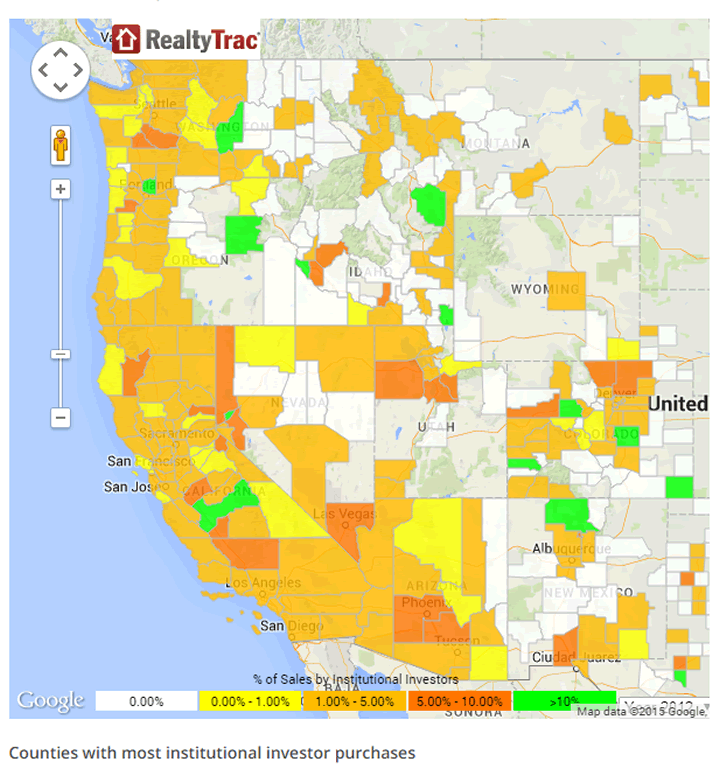 Their rental properties are concentrated in the previous bubble markets of Arizona, California, Florida, and Nevada. What a beautiful business concept. Free money from their Federal Reserve sugar daddy, kicking people out of their homes and then renting their houses back to them, driving prices higher by restricting supply and stopping new household formations, double dipping by creating a new exotic subprime investment opportunity, and then exiting stage left before it all blows sky high again. The areas of the country with the highest percentage of Wall Street owned rental properties have had the largest price increases over the last three years. Some people never learn. Blackstone and the rest of the Wall Street crowd stopped buying properties in 2014. They’ve achieved their objective – easy profits. They have no intention of being long-term landlords. They are seeking the greater fools to take these properties off their hands at inflated prices. 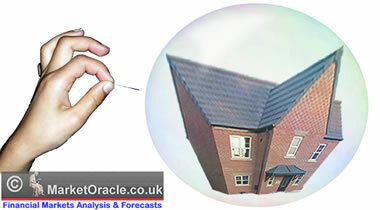 The result will be rapidly falling prices, as there is no real demand for these properties. The majority of the jobs “created” since the financial crisis have been lower wage paying jobs in retail, healthcare and other service sectors of the economy. Conversely, the jobs created within the energy space are some of the highest wage paying opportunities available in engineering, technology, accounting, legal, etc. In fact, each job created in energy related areas has had a “ripple effect” of creating 2.8 jobs elsewhere in the economy from piping to coatings, trucking and transportation, restaurants and retail. Energy companies have accounted for 25% of all S&P 500 capital expenditures. They are slashing cap-ex budgets by billions. Revenues and profits of energy companies are collapsing. Unemployment claims have already begun to rise. Retail sales growth below 3% always portends or confirms recession. People without jobs, burdened with student loan debt, and living on the same income they had in 1989, do not buy houses. Without QE and Wall Street hedge funds to prop up the market, the bubble is popped. Maybe someone should ask Ben Bernanke at one of his $300,000 lunch time speeches for Bank of America what he thinks about the housing market. He does have an Ivy league education and did save the world.